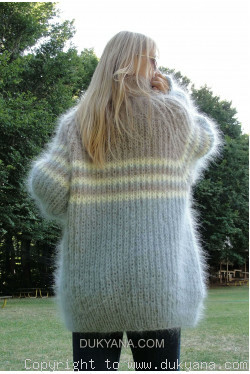 Hand knitted chunky wool blend warm sweater. Super soft and skin-friendly merino blend material. One size fit due to the drop-sleeve design. 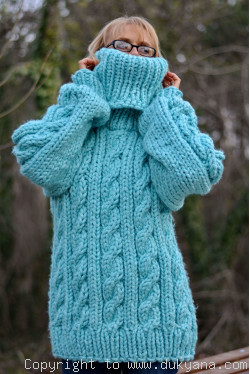 Sweater can be knitted to different measurements.Please contact us for details.